These Keto Shrimp Recipes make for the perfect keto dinner. With Zucchini Noodles, Cajun or Cream Cheese, you’ll absolutely love them! 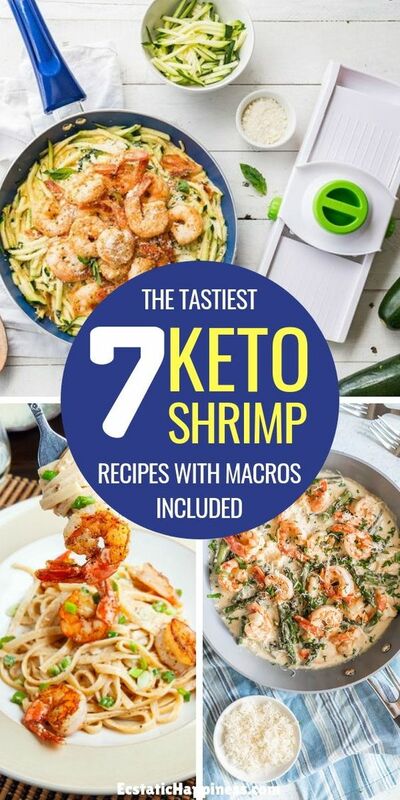 Shrimps are one of the healthiest keto ingredients ever, and there are so many ways to cook them that it’s easy to have a perfect keto dinner ready in 30 minutes. If you love shrimps as much as I do, I’m sure these recipes will blow your taste buds away and make their way into your weekly meal plan. Now, I can tell you that this shrimp recipe tastes nothing like diet food. It’s so delicious and rich you’ll feel like you’re in a fancy restaurant. Except the bill will be much cheaper, of course. I’m not sure anything I could say would do justice to this awesome shrimp recipe, but here’s the thing: if you like the idea of a garlic cream coupled with cheese and shrimps, this is one keto dinner recipe you can’t pass on. Note: Replace the cornstarch with almond flour and the half and half with heavy cream. Don’t worry, I guarantee you it won’t make any noticeable difference in terms of taste and texture, but it will make a huge difference in the number of carbs you ingest. 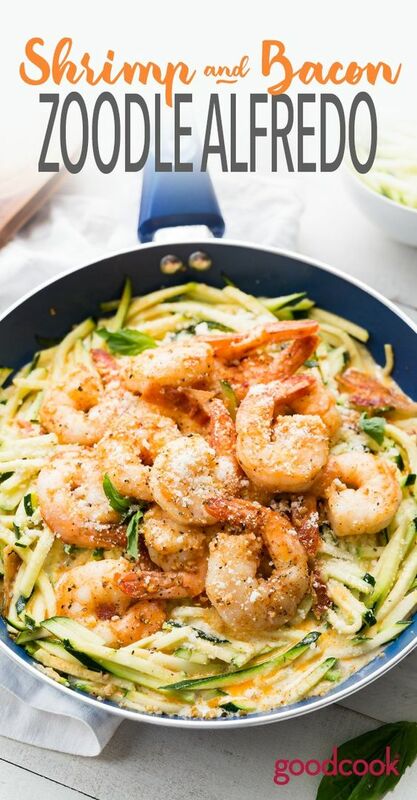 This recipe is the perfect way to eat keto pasta, with a delicious combination of shrimps, zucchini noodles, parmesan cheese and some other ingredients. So tasty yet very easy to make (provided you have a spiralizer), even non-keto dieters will ask for seconds. If you’re looking for more of an exotic taste to your shrimps, without the bad carbs that come with it, here’s exactly what you need. 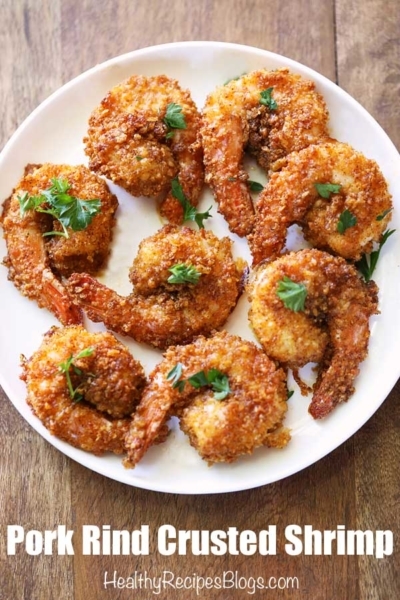 This “breaded” keto shrimp recipe is very low-carb (only 1g net carbs) and actually tastes much better than the traditional recipe. 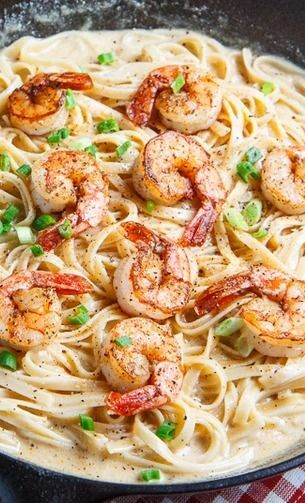 If you’re craving pasta, this Cajun shrimp pasta alfredo is all you need to satisfy your cravings. Not only does this keto pasta recipe tastes absolutely great, but it is also very low-carb and high in fats and protein, provided you replace the fettuccine with miracle noodles, of course. 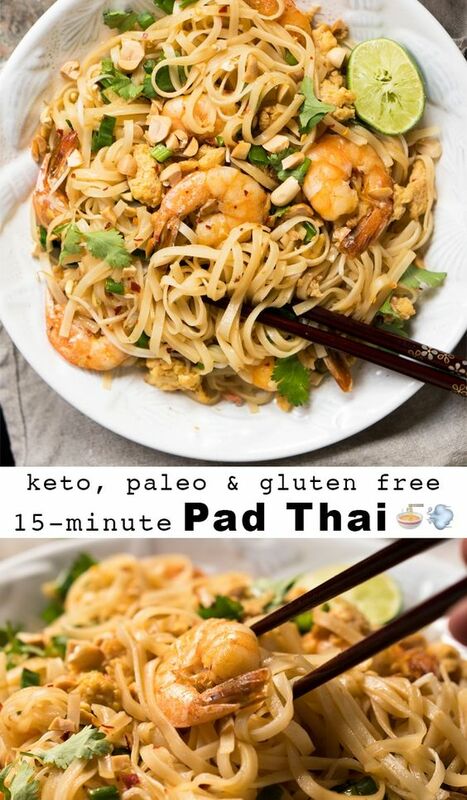 Made with Shirataki noodles aka “miracle noodles” instead of rice noodles, this exotic Thai recipe is great for a change and super low-carb. If you want to travel to the Asian continent without leaving your house, this one’s for you. 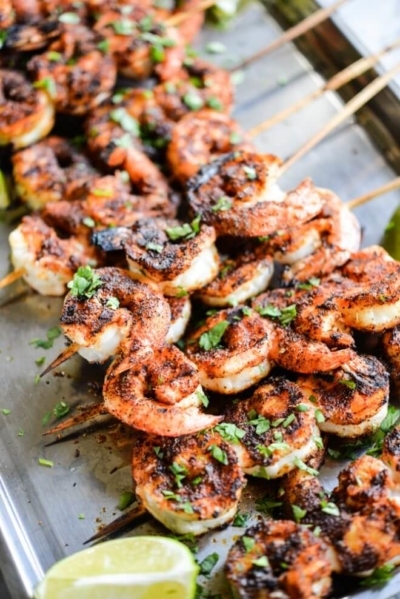 These shrimp skewers are so good for dinner and fancy enough to serve at a party. They’re marinated in lime juice first to give them an awesome taste, and then the seasonings do the rest. If you’re a fan of fast and easy meals, this shrimp recipe is for you. Made in the oven with very basic ingredients − butter, garlic, parsley, and fresh lemon − this baked butter garlic shrimp recipe is as delicious as it is healthy. I like to serve it over some spaghetti squash, or just as is if you’re looking for a light meal. Can you image shrimp and asparagus swimming in a deliciously keto-approved alfredo sauce? And what if I told you this dream is only 5 simple ingredients and 10 minutes away? If you’re looking for a delicious keto shrimp recipe you can make in a hurry, this keto asparagus & alfredo shrimp recipe is one of the best options you have. So, no more “I don’t have time to eat healthy/keto” excuses.